The attached file is a week long lesson plan designed to go with the Common Core Curriculum Map Unit "Life Lessons." This lesson plan is a 5 day plan along with a student packet with a cover page and 4 student activity pages. There is also an additional activity to go with "The Lion and the Mouse." I have included both PDF and Word versions of each document if you would like to make changes to them. 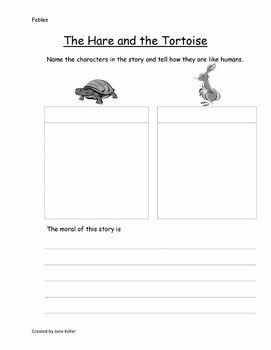 This week focuses on retelling stories including the moral of the story. 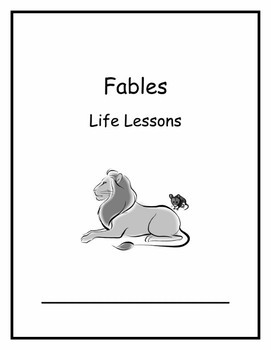 Students will focus on characters and how they are personified in fables to teach a lesson. 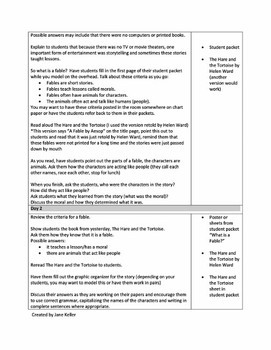 I also used an online version to compare, I have included the link in the lesson plan. There is also an optional activity to watch videos, which I have also included in the plans. *You could use other versions of these fables to teach this lesson, theses are the versions recommended in the Curriculum Map book.